Below you can view all the highrises for sale in the Twelve Centennial Park subdivision located in Atlanta Georgia. Listings in Twelve Centennial Park are updated daily from data we receive from the Atlanta multiple listing service. To learn more about any of these highrises or to receive custom notifications when a new property is listed for sale in Twelve Centennial Park, give us a call at 404-998-4063. Resort Style Amenities Including Roof-Top Pool, Fitness Center, And Club Room. MLS#6538967. Palmerhouse Properties. Live, Work, & Play In The Heart Of Vibrant Downtown Atlanta W/A Walk Score Of 94**Located In The Exclusive 12 Downtown Residential/Hotel Complex**Lowest Priced 1/1 On Market**Open Yet Defined Layout W/Gallery Style Entry Foyer, Built-In Office Workspace, Large Living Room & Chef-Style Floating Island Kitchen W/Dining Nook Unique To This Layout**Master Suite With Large Custom Walk-In Closet & Private Bath Entry For Guests**180 Degree Views North & South On Peachtree Plus Rare Private Balcony**5-Star Amemnities Level & 24 Hour Concierge**Fha|Va|Conventional Finance Options MLS#6538271. Atlanta Communities. Showings Begin On Tuesday 4/23 After 12 Pm- Please Use Showingtime. Condo Is Currently Occupied. MLS#8563473. Re/Max Ambassadors Llc. Showings Begin On Tuesday, 4/23 After 12Pm Please Use Showingtime. Unit Is Currently- Occupied. MLS#6536620. Remax Ambassadors. Close Proximity To Shopping, Restaurants, And Transportation Makes This Gorgeous And Stylish Condo The Gem You Were Looking For. MLS#6535864. Redfin Corporation. Close Proximity To Shopping, Restaurants, And Transportation Makes This Gorgeous And Stylish Condo The Gem You Were Looking For. MLS#8562584. Redfin Corporation. 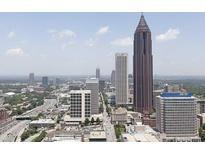 Walk To Marta, Downtown, Restaurants, Shopping And All The Places You'Ll Want To Be! MLS#6535633. Harry Norman Realtors. Amenities Include Pool, Conference Room, Concierge, Bar, And Workout Facility. Will Not Last Long! MLS#8555290. Luxe Life Realty, Llc. Worldclass Ammenitites, Pool, Fitness Center, Lounge And Dining. MLS#6528734. Ashman Associates, Inc.. 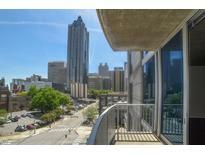 Amenities Galore!Walk To Aquarium/Stadium/Dining, Shopping, & Marta(Easy Access To Airport! ). MLS#6526126. Above Atlanta, Llc..
Concierge Has Lockbox. Showing Hours 9-8Pm MLS#6519792. Keller Williams Realty Atl Part. Concierge Has Lockbox. Showing Hours 9-8Pm MLS#8539374. Keller Williams Rlty Atl. Part. Marta Train Station Minutes From Your Front Door. 2 Parking Spaces. MLS#6512416. Palmerhouse Properties. With Direct Access To Marta Downstairs You Are Just Footsteps Away From Airport, Malls And Eateries. Contact Me Today To View! MLS#8533878. Coldwell Banker Residential Br. With Direct Access To Marta Downstairs You Are Just Footsteps Away From Airport, Malls And Eateries. MLS#6511877. Coldwell Banker Residential Brokerage. Close To Marta, Centennial Park, Mercedes Benz Stadium, State Farm Arena, Fox Theatre, Civic Center And Ga Aquarium. MLS#6511467. Avenue Realty, Inc..
Close To Marta, Centennial Park, Mercedes Benz Stadium, State Farm Arena, Fox Theatre, Civic Center And Ga Aquarium. MLS#8533698. Avenue Realty, Inc..
Close To Marta, Centennial Park, Mercedes Benz Stadium, State Farm Arena, Fox Theatre, Civic Center And Ga Aquarium. MLS#8524531. Palmerhouse Properties & Assoc. Close To Marta, Centennial Park, Mercedes Benz Stadium, State Farm Arena, Fox Theatre, Civic Center And Ga Aquarium. MLS#6503837. Palmerhouse Properties. Check Out All The Amenities Including, Concierge, Secure Parking, Club Room, Pool, Outdoor Grills And A Business Center. MLS#8521094. Engel & Volkers Buckhead Atl.. Check Out All The Amenities Including, Concierge, Secure Parking, Club Room, Pool, Outdoor Grills And A Business Center. MLS#6127424. Engel & Volkers Buckhead Atlanta. Featuring: Gleaming New Dark Hardwood Floor, Plush Carpeting, Freshly Painted, Stained Cabinets With Granite, Stainless Appliances, And Amazing City Views From 27Th Floor. MLS#6124936. Harry Norman Realtors. Walk To W Hotel, Cnn Center/Philps Arena, Centennial Park, Ga Aquarium, Coca Cola World, Tons Of Restaurants & More. MLS#8506658. Engel & Volkers Buckhead Atl.. Walk To Centennial Park, Ga Aquarium, Coca Cola World,Cnn Center/State Farm Arena, Tons Of Restaurants & More. MLS#6117141. Engel & Volkers Buckhead Atlanta. Unit Is Fully Automated, Be Sure To Check It Out While Viewing. MLS#6092586. Keller Williams Realty Atl North.